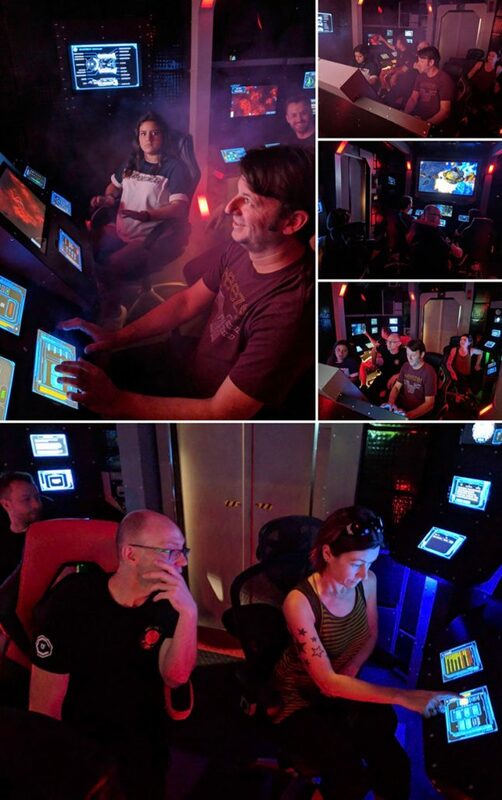 Calling all sci-fi buffs and people with a general fondness for next-level custom set builds: An intricate new “starship simulator” is now open for business in Toronto. One of my favourite things about living in Toronto is that there’s constantly something new to discover. I moved here just over twenty years ago and will never feel like I’ve seen it all, found my way into all of the city’s nooks and crannies, or uncovered all of its secrets. When you live somewhere small, you can feel like you know a place, but metropolises are always changing, evolving, leading us towards an unknown and uncertain future. As does Proxima Command, which uses the short-hand description of “escape room” to position itself in people’s heads, but is actually something much, much cooler, though you wouldn’t necessarily know it from the unassuming, nondescript building located at 253 Christie Street in Toronto that houses it. Even when you first step through the doors, it’s not immediately clear what you’re in for. That realization doesn’t strike until you get a glimpse at the module that serves as your ship (and the stage for the game). Everything looks real, like a movie set, only better because the computer touch screens at each of the stations (which include science, engineering, helm, weapons, a captain’s chair and more), as well the screen that extends across the front of the bridge, all work and are displaying real-time information about the vessel and its critical systems. If you’ve binge-watched any sci-fi shows, everything will look familiar, but as you’ll soon discover, it’s all considerably more involved than it appears. As they closed the doors of the bridge, sealing us in and beginning our journey – for which I brought along my husband, a die-hard science fiction fan – I took my place at Engineering and he climbed into the Helm. This is where I must to drop my first caveat about Proxima Command: the learning curve on this is intense, made more so by the fact that all the ship’s systems – as on a real vessel – are interlinked. So, let’s say if someone in Science drops the ball – as happened during our trip – there might not be time for another station, e.g. Engineering, to compensate in order to prevent utter catastrophic destruction. Oh yes, we blowed up real good at the unfriendly end of a giant plasma torpedo fired from an attacking marauder ship. Thankfully the minds behind Proxima Command are well aware that first-timers are going to crash, explode, get blown out of space with extreme prejudice, and god only knows what else, so they’ve built in a feature that allows teams to try an encounter again as long as they are within the time limit of their game. Which brings me to caveat number two: things get exponentially more fun and engaging as you become proficient at manning your station. Proxima Command is seriously addictive. And that’s where the folks behind it are once again being particularly clever in taking a cue from sci-fi TV. 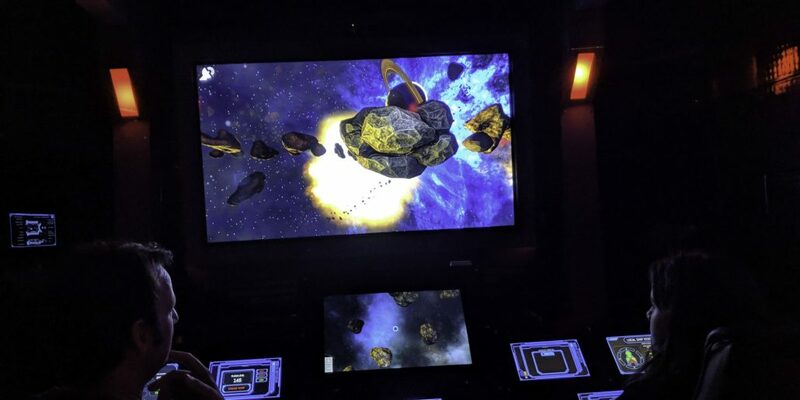 Not only does Proxima Command boast a mythology all its own, but the company is already developing new “episodes” for its “starship simulator” – which, frankly, is the best way to describe what this is – in order to draw in repeat visitors. If you’ve ever dreamed of joining a crew and running off to a galaxy far, far away or exploring places no man has gone before, this is the closest you’re going to get to that experience. If you don’t believe me. Let’s hear from man who lives and breathes science fiction. Strangely, I felt the exact same way. Proxima Command is most fun when booked with a group of five or six. For more information or to schedule your inaugural space flight visit proximacommand.com.